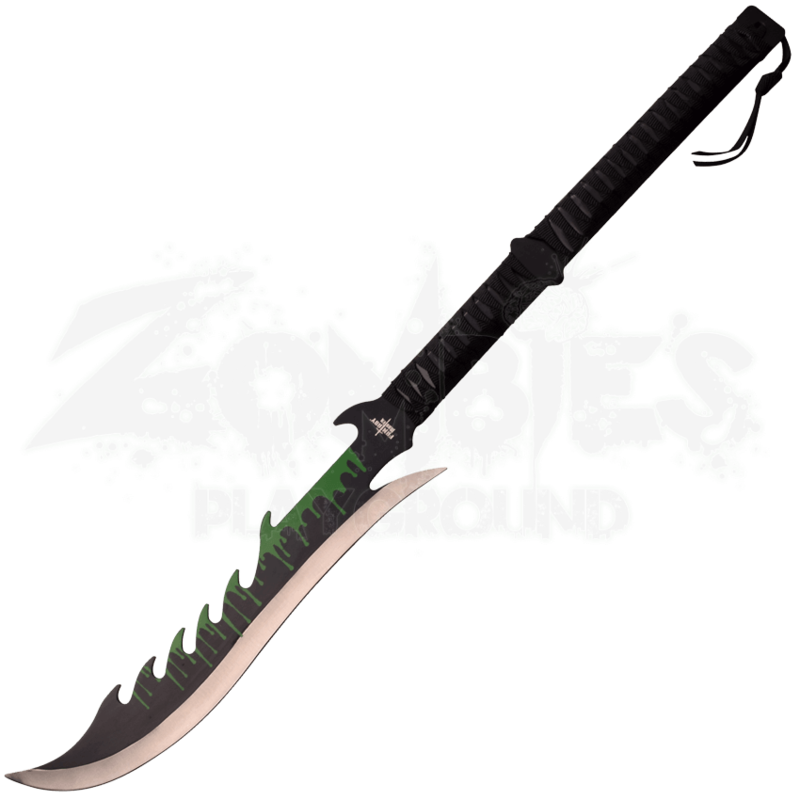 Who knows what ferocious fantasy beast left the gore that streaks this eye-catching ornamental sword? 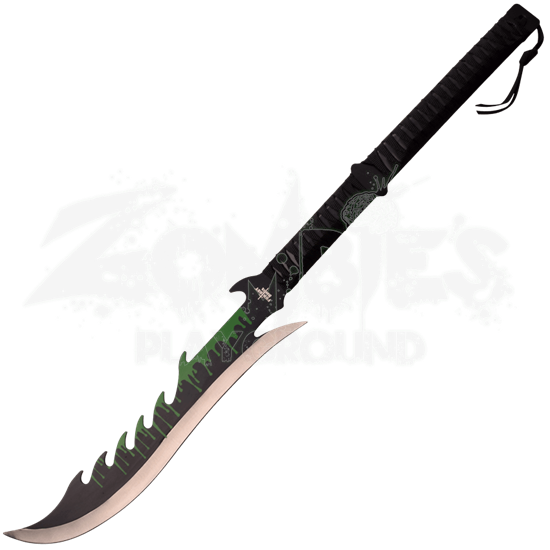 The Green Blood Drip Fantasy Short Sword makes a great piece for displaying with its colorful paint job and striking shape. Crafted from stainless steel, the decorative sword has been given a black finish with green drips running from its dramatically serrated back. The blade shape of the collectible sword curves softly, as well, making this an imaginative design perfect for fantasy collections or costume designs. This fantasy blade has a fabric wrapped handle in a katana pattern. The stainless steel sword comes with its own black nylon sheath for carrying and storing.